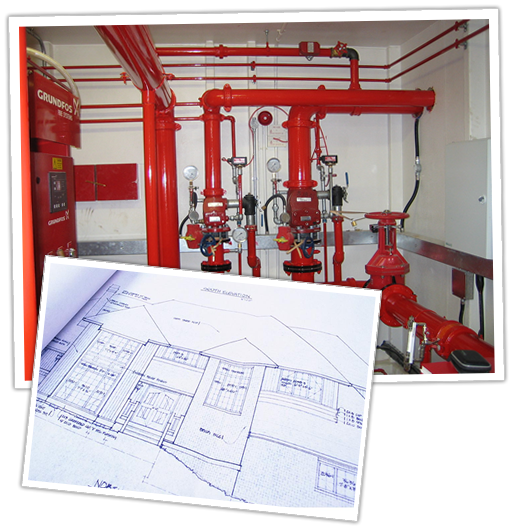 FTI will assist with any aspect of the fire sprinkler design/engineering. We are staffed with NICET certified personnel that will work closely and professionally with owners, architects and engineers to provide you with the most efficient design to fit your needs, while meeting all NFPA codes as well as any local or underwriter requirements. At FTI, we believe that fire sprinklers are the ultimate safeguard for facilities against fire damage. It’s this belief that drives us to not only provide the best possible service, but also make it affordable and convenient. We have experienced technicians available around the clock 24/7 to help with any emergency situations that may arise with your Fire Sprinkler System(s). No matter how large or small we are available for any of your service or repairs needs at very competitive rates.